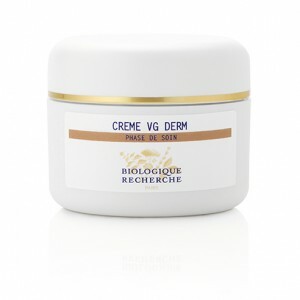 Crème VG Derm is our essential cream that offers intense hydration with a rich, silky texture thanks to its soothing agents of omega 3 & 6, regenerating agents of milk, peptides, colostrum and centella asiatica extract. Your skin will feel velvety soft and any feelings of tightness will be alleviated. Dehydrated and/or sensitive Skin Instants®. Regenerating agents: Hydrating Milk Peptides, Colostrum, Exclusive BR Botanical Complex, Centella Asiatica Extract. Soothing and relipidating agents: Polyunsaturated Fatty Acids complex.